PSI offers a family of components that enable construction of microwave photonic systems for test, evaluation and transmission. Based on our record breaking performance achievement, these components offer a cost-effective way to optimize your system design efforts. Our chip-scale modulator bias controller (PSI-0204-11 and PSI-0204-99) offers the world’s highest accuracy commercially available modulator controller at a very attractive price. The PSI-2600-11 photonic controller board offers a fast, low cost means to construct a photonic transmitter module. With a Vp of less than 2 Volts at 6 GHz, the PSI-3600-D1 modulator enables very high performance systems from very low drive voltage. 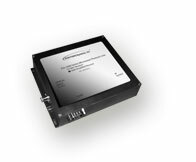 When combined with a high power low noise light source and high current photodetector (PSI-3600-LNLS and PSI-3600-PD), a best in class performance system is formed, offering very low noise figure and wide dynamic range at microwave frequencies. Photonic Systems, Inc. (PSI) staff holds many patents and industry records for microwave fiber-optic link performance including noise figure and dynamic range. 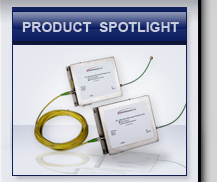 PSI routinely builds custom fiber-optic link products to meet specific needs. Please contact us to discuss how we can offer a link solution tailored to your application that takes advantage of PSI's record setting engineering. © 2013 PHOTONIC SYSTEMS, INC.